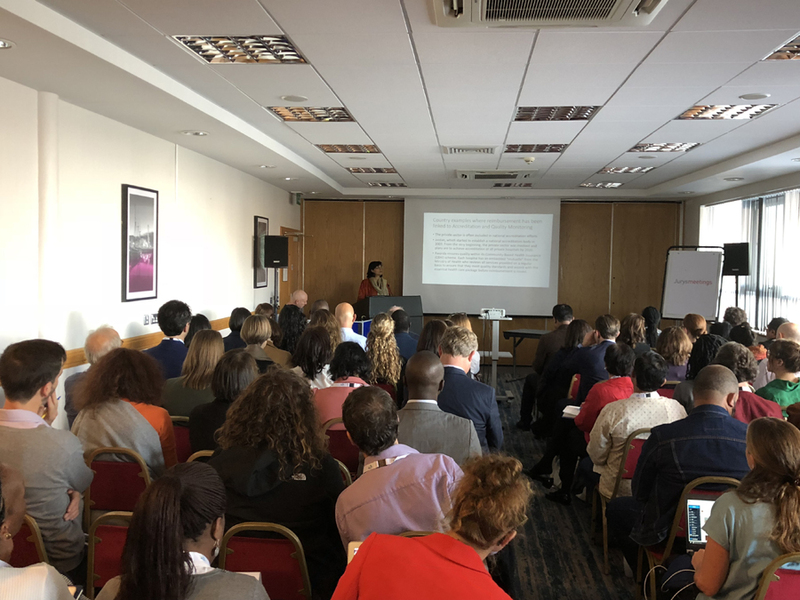 October 9, 2018: Dr. Sania Nishtar was the keynote speaker at the symposium “Engaging with Private Providers in Low- and Middle-Income Countries” during the fifth Global Symposium on Health Systems Research (HSR) in Liverpool, UK. HSR is a 2-yearly conference organized by Health Systems Global—a consortium of international organizations and many other leading actors in global health. Dr. Sania talked about the importance of strengthening quality of care, effective regulation, and the imperative of harnessing the outreach of informal health providers. October 2, 2018: Organizers of the multi-country south Asian trial (Control of Blood Pressure & Risk Attenuation trial [COBRA]) recently held a ‘Policy Forum on Hypertension and Cardiometabolic Risk’ in Colombo. The trial is undergoing in Pakistan, Bangladesh and Sri Lanka and Sri Lanka and is supported by the Welcome Trust. Dr. Sania Nishtar, delivered the keynote address. She underscored the need for Universal Health Coverage to include hypertension and diabetes care for all segments of the population “Countries are crying out desperately for help. This is evidenced by data from WHO’s Country Cooperation Strategies in more than 150 countries. We could end up undermining the economic viability of Universal Health Coverage if plans failed to address the world’s leading killer”, she said. 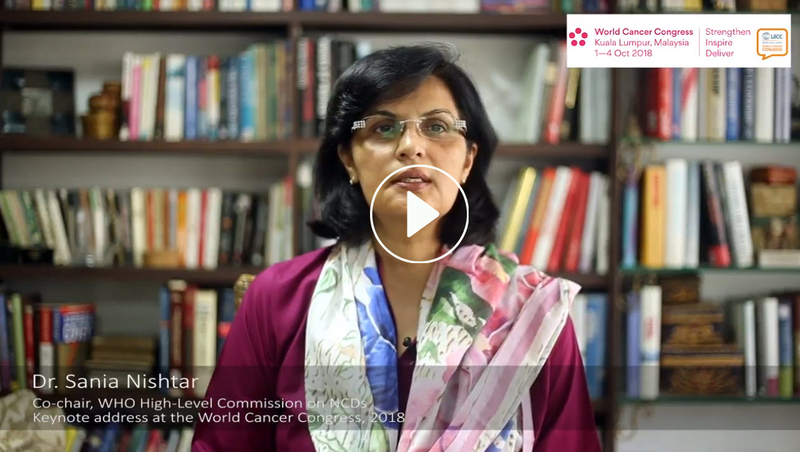 October 2, 2018: The World Cancer Congress (WCC) is a major event in the global cancer control agenda. It is arecognized international conference “which encourages effective knowledge transfer and best practices exchange amongst 3,500 cancer control and public health experts from 150 countries”. It aims to strengthen the participants’ action and impact on national, regional and international scales through a multidisciplinary program that features the latest successful interventions in cancer prevention, diagnosis, treatment and care. 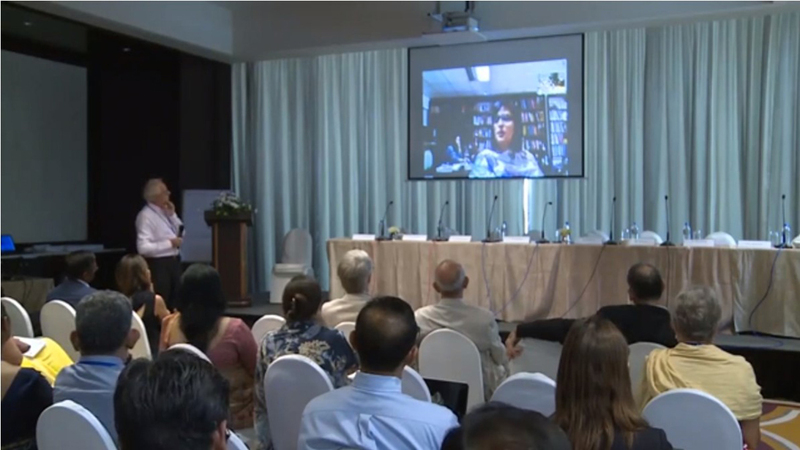 Dr. Sania Nishtar was the keynote speaker at the opening plenary of the conference; her talk, delivered through a video link can be accessed below. 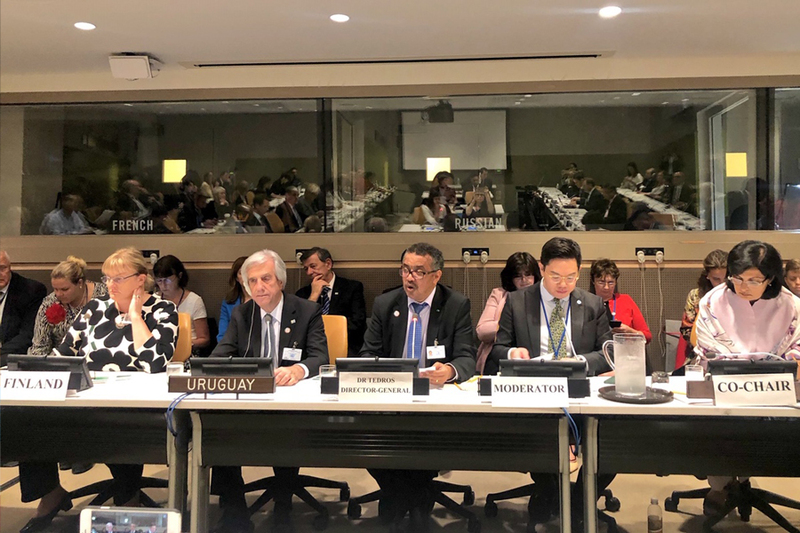 27 September 2018: The High-Level commission on NCDs hosted an event at the United Nations in New York on September 27. Co-chairs of the commission, Dr. Tabare Vasquez, President of Uruguay and Dr. Sania Nishtar co-chaired the meeting. The status of progress of the commission and its scope of work for its next phase were discussed by the co-chairs and other commissioners who were present. 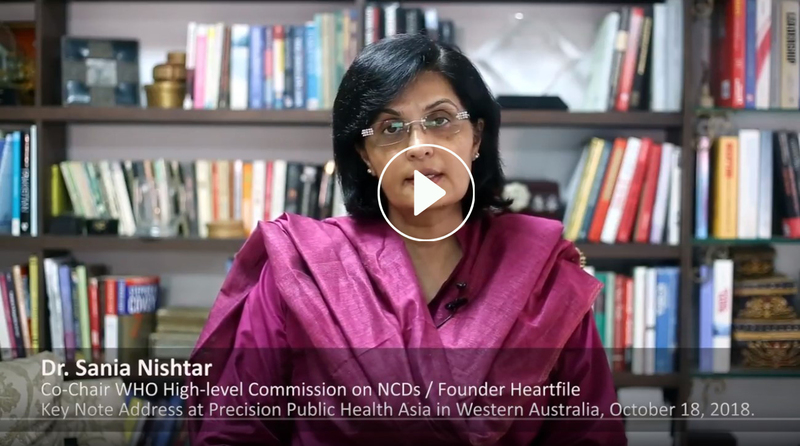 27 September 2018: Dr. Sania Nishtar delivered an impassioned address at the 3rd High-Level Meeting on NCDs at then United Nations. She outlined the importance of many developments by the private sector, which are paving the way for health systems to become more choric care centric and reiterated the need for stepping up public roles—norm setting, bolstering regulatory capacity and the need to address financial access barriers. 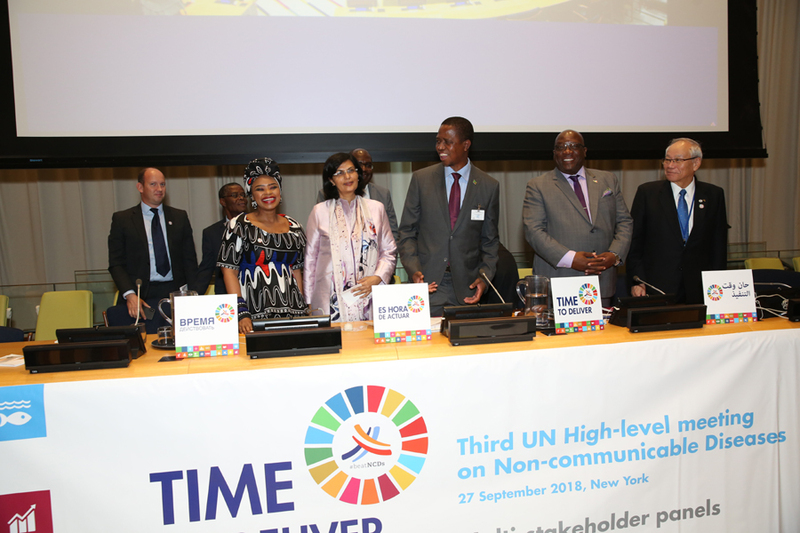 Her co-panelists at the session included President Edgar Lungu of Zambia, The Honorable Timothy Harris, Prime Minister of St Kitts and Nevis, and Zoleka Mandela. The text of Sania Nishtar’s speech can be accessed here.